G Suite comes with multifactor authentication and strong encryption for data sent over the internet . Either 30GB or unlimited storage shared with Google Drive, depending on the plan. Advanced admin controls, depending on the plan. 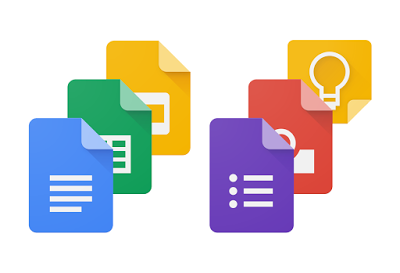 Google Docs, Sheets and Slides , a spreadsheet and a presentation program . Google Docs and Slides come with additional features designed for business use. Integration with Google Calendar for one-click start of a Hangouts conversation . Businesses can host Hangouts on Air. Enhanced privacy controls , Restricted communities.